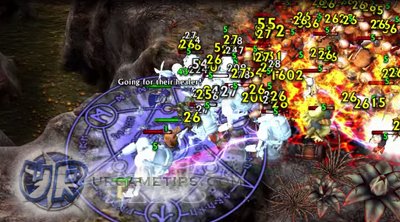 Mage and Minions is a hack and slash Action RPG game presented by Making Fun, Inc. Available on Android - Google Play and iOS App Store. Pick your hero and test your blades on the wondering dead, or let the elements obey your will. Find legendary weapons and armors to upgrade your power, and draw signs to cast your spells! Is This Game Playable Offline? - Yes, but some time related features like Ability Upgrades and Crafting will require you to play online to sync the game. 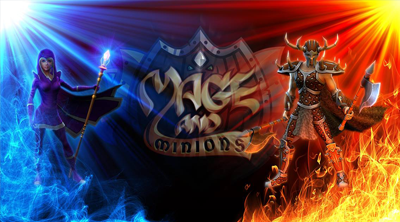 - Go here to get a free Public Friend ID Code for Mage and Minions. - You can get your own Friend Code after you unlock the Friends tab. - The in-game E-mail message has a limited time, if it expires, it's gone. - Either create another account or just continue playing, you'll get lots of opportunities to get more Gems though. - Through Dungeon or Arena runs, dropped by monsters and chests. Replay latest stages for better rewards. 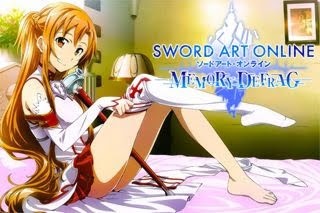 - By selling white and green equips, or any item you don't need. - Daily Login Rewards and more. - Entering a Friend Code for the limited time Gem e-mail. - Invite Friends then let them enter your Friend Code to get even better rewards. - Rate the Game Pop Up Rewards, and more free offers or events. The Best Way to Use Gems? - Ability Slots doesn't unlock automatically as you progress through the game, so use your Gems to unlock all slots. I suggest you unlock the 2nd Utility Ability slot first, then the 2nd Attack ability slot. - For the 2nd Passive ability slot, just continue playing until you you have the Gems required. Unlock this before the 3rd Companion slot if you like. - 2nd Companion Slot: Unlock after getting Eileen. Now you can sell some of your Apples and Health Potions for more Gold. - 3rd Companion Slot: Just unlock as you go on, note that you can exchange different team members according to your needs, even if you only have 2 slots at the moment. Unlock this before the 2nd Passive ability slot if you like. Having 3 Companions is great, to level them all up equally and to get more skill options. - Purchasing Legendary Items from the Store is optional. If a high level item with prefect primary and secondary stats pops up, I think it's a good idea to buy it. Note that this is only recommended for experienced players. - Inventory Expansion if you really need. - Do not use your Gems for opening chests, or for cooling down upgrades. - If your hero dies during battle, be careful!, do not select the Resurrect option which requires Gems! Which Items are Best for Crafting? - Until around Lvl 25 to 50 or higher, just sell all items you don't need, you can survive normal mode with just the regular gears dropped by monsters or chests in-game. - Keep and craft Blue and above items, sell White and Green items. Focus on using 3 of the same quality, then proceed to higher item qualities as you go on. - You can craft any item you like, but I suggest crafting Weapons to keep a nice base Damage boost, even better if you can craft a Legendary Weapon! - Try to craft an item with expected "Lvl" equal or near your current level. - All 3 items for crafting must have the same stat. - Example: If you want to get a Cooldown Reduction stat to your next crafted item, you need to get 3 items with Cooldown Reduction as one of their stats. - If you did this right, the Attribute box will display "Cooldown Reduction" not a randomizing dice. - If you will follow this tip, you might also want to keep some Green items with your preferred stats for crafting, then proceed to higher item qualities as you go on. How To Refresh The Store Items? - Items will be renewed after completing any stage. How To Get Free Legendary Items? - Dropped by monsters, drop chance increases at higher difficulties. - You can create a new character in the Main Menu > Heroes section. - or just re-install the game for a clean start.